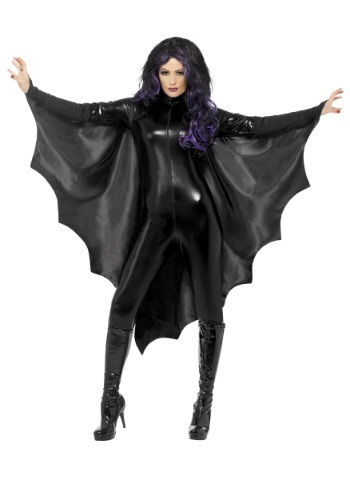 Nothing says creature of the night like the wings of a bat. 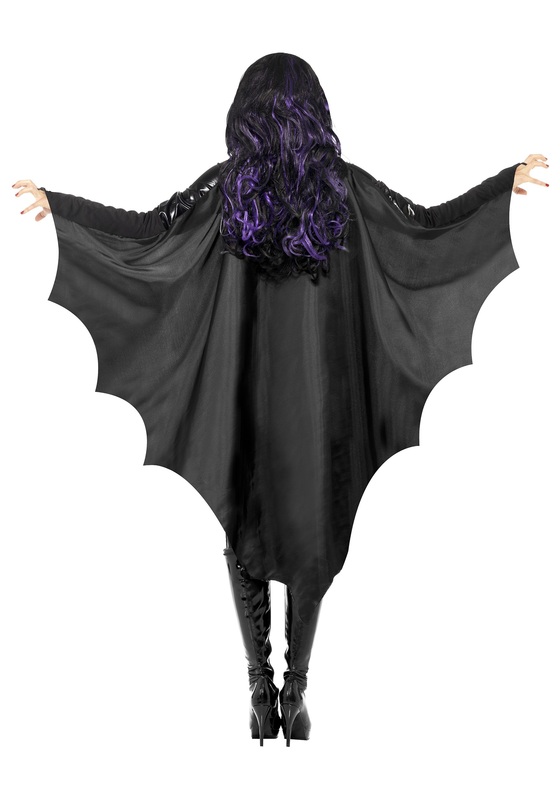 But even the most delicate humans would need a lot more lift to get off the ground than our furry flying pals, so we recommend springing for a convenient synthetic alternative like these 100% polyester Adult ‘Bat’ Wings. By no means should you think that we have crunched any numbers. But we hesitate to say that it’s impossible to train a colony of bats to carry you aloft at the snap of your fingers, because we know that some of you will take that as a challenge no matter what the calculations suggest! And since we happen to like the little critters outside of our borderline-obsession with spooky Halloween costumes, we don’t want a bunch of daredevils poking and prodding them in the name of personal transportation. Plus, the prop version is going to be a lot more fun when you factor in all the guano! Instant awesome costume - wear black and funky make-up and there you go! My only complaint is that one of the fabric finger rings that hold the wings in place came unstitched when trying it on the first time...but easy enough to stitch back up. just what we needed for costume. she was a great hit.